Home Gist What is Next after Npower physical verification 2017/2018 Npower Volunteer Payment. What is Next after Npower physical verification 2017/2018 Npower Volunteer Payment. What is Next after Npower physical verification 2017/2017 Npower Volunteer Payment. After a successful run in the Npower so far this year, from the application to the test and the Npower Pre-selection in a tight race of getting 300,000 applicants from an estimated 2,500,000 applications in the 2017 Npower Volunteer scheme. We have carefully written this article to answer the numerous questions Npower physically verified candidates often asked, questions like..
What is Next after npower physical verification 2017, when will 2017 Npower volunteer get thier first stipends, how to check list of physically verified candidates, successful candidates list after physical verification 2017 exercise, when will Npower 2017 resume work, what will happen after npower physical verification 2017, Npower 2017 payment date, when is Npower going to pay December money, 2017 npower volunteer payment. The above questions have been answered in this post. Carefully take a glance through the post to get all the needful. What is Next After Npower Physical Verification 2018. Primarily applicants will be notified on Successful candidates after physical verification exercise that was done in each states of the federation. The Npower Volunteer will be posted to their various Place of Primary Assignment (PPA). This will be done by either the Local Government or state as the case may be. N-teach candidates will be either Primary School or Secondary School, depending on the requirements needed for the Locality, school in the area. N-health will be a primary healthcare centre in the your loca, government of residence. N-agro will be an agricultural sector in the rural area of the State. 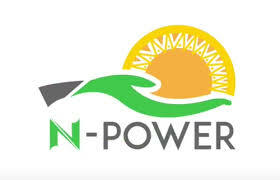 NOTE: The Npower programs is a government owned scheme and all successful candidates will be posted to government institutions only. The payment for The Npower 2017 Volunteer, is set to take off from December 2017. As the authorities are working assiduously to make sure the December stipends for Npower 2017 Volunteer is released. Successful candidates are urged to be patient as Paymentwill soon be released.